Are you on the right cover for right now? Ask yourself these questions to see if you’re on the right level of cover for right now. People’s lives rarely stay the same for long; so a health cover policy that suited you a few years back might not be right for right now. Here are a few questions to ask yourself, to work out if your cover is in sync with your current circumstances. What are your current and future health needs? One of the most important questions to ask is: how does your current level of cover support your health needs? It seems obvious, but it’s easy to set-and-forget your cover without regularly reflecting on how your health is changing. If there’s something you’d like to have included in your cover, or if you’re approaching an age where you can expect some changes, it’s better to be proactive and adjust your level of cover now. Remember, there’s often waiting periods that must be served before you can claim benefits on new or upgraded services or features to your health cover. A 12 month waiting period generally applies if a particular health concern is considered to be a pre-existing medical condition; so you may not want to wait until you know there’s a problem to have the treatment included in your policy. You can easily check what things you have included under your current policy by logging into My Medibank. If you aren’t sure what you might need cover for in the future, take a look at our interactive tool that reveals the common procedures that our members are going to hospital for. The results are based on our past claims data based on age and gender - and they might surprise you! Have you chosen the right excess? Your excess is the amount you initially pay for treatment before your health cover starts contributing to the cost. When you first joined Medibank, you will have chosen an excess level for your policy (typically $0, $250 or $500). Choosing a higher excess component for your policy can lower your premium compared to choosing a lower excess component on your policy. You could think about how much you are willing to pay up front if you were to need treatment in order to save on your premium. How can you use extras to your advantage? Choosing a Members’ Choice extras provider for your treatment generally means that you’ll pay less in out-of-pockets costs than you would if you used an extras provider outside our network. Most prices charged are capped, so you can find out how much you will have to pay upfront. Find your nearest provider here. *Waiting periods and annual limits may apply. Are you receiving the correct amount of Australian Government Rebate (AGR) on private health insurance? The AGR is an amount the government puts towards your health cover premium to make it more affordable. The rebate amount you’re entitled to is based on your age, your income and your family makeup; so if any of these have changed in recent years it’s worth checking that we have these details recorded. This will mean your premium is being calculated with the correct rebate applied. Read more about how the AGR is calculated and how to update your details here. Have you got a new relationship status? If you’ve coupled-up since your last cover review, you might want to consider streamlining your separate private health policies by taking out Couples cover. Or, if you’re no longer in a relationship, you could look at our Singles cover options. Are you planning to expand your family? You might be thinking of adding another member to your family. First things first, it’s worth checking that your current policy includes pregnancy. If you need to upgrade your policy to include pregnancy, you will need to serve a 12 month waiting period before you can claim benefits for obstetrics services – so you’ll need all this in place before conceiving! Do you want to add your new baby to your cover? Singles cover - To make sure your new baby is insured, you’ll need to add them to your membership. If you have already served your waiting periods, your baby won’t have to serve any additional waiting periods if you add them within two months of their birth. Just call us on 132 331 or visit one of our stores. This will change your cover to either families or single parents from the date of the birth. Increased premiums will also apply as a result of upgrading your policy. Couples, families or single parents covers - You have 12 months to add your baby to your membership so they are included from their date of birth. Adding a baby to a couples cover will change it to a families cover, however if you are on one of our Growing Families products, your premium will stay the same. Do you have children that are turning 21 or 25 soon? If your child is aged between 21 and 25 and is studying full-time, they can be covered under your policy as a ‘student dependent’ for no extra cost (provided they're not married or in a de facto relationship). 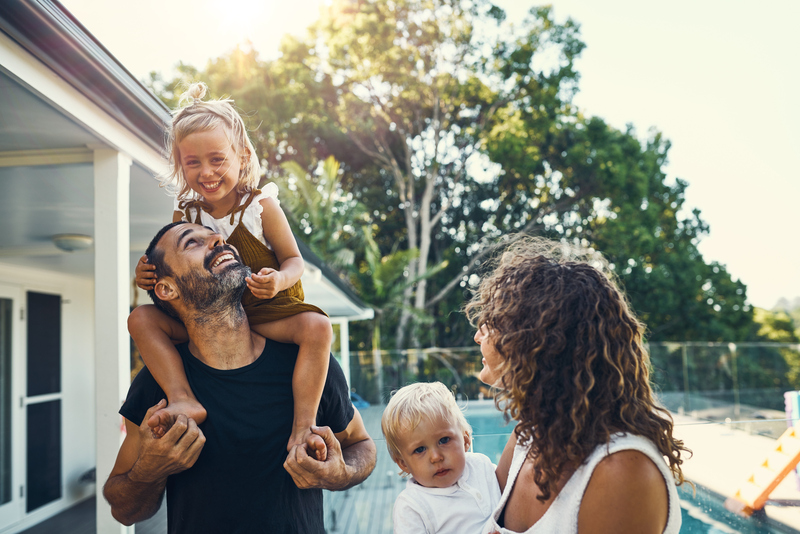 For a child that isn’t studying full-time (also not married or in a de facto relationship), they can still be covered under your policy, for an additional cost. In either case, once your child turns 25 they’re no longer included on your membership. Luckily, we’ve got a range of Young Adult covers tailored to their life stage and budget. You could also use this as an opportunity to review your own cover, to make sure the policy aligns with your specific health needs rather than those of your child. Let’s not forget our furry family members! The health and wellbeing of our animals is something every pet owner should take responsibility for, and sometimes this comes with a hefty price tag (if it means unexpected vet visits, hospitalisation and surgery). Pet insurance can be a life-saver, as well as a pocket-saver. Find out more about Medibank pet insurance.